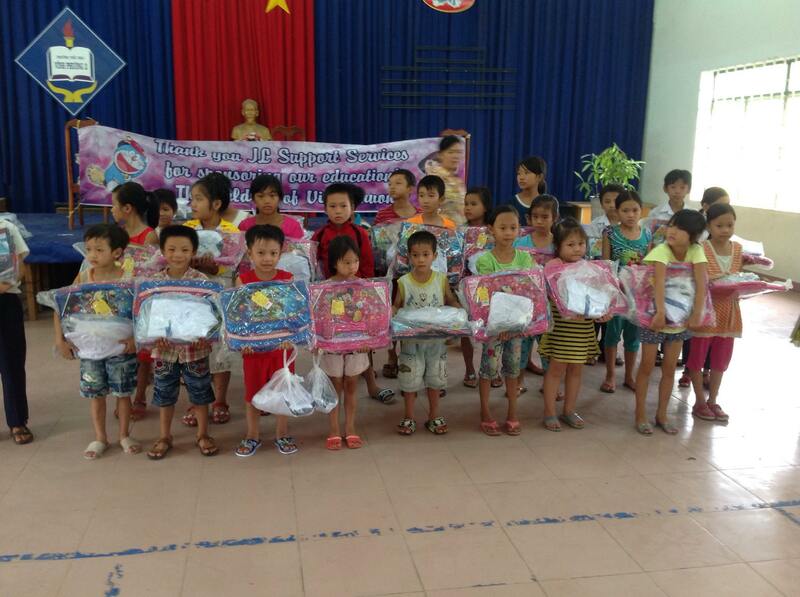 On August 9, 2015 we sponsored the education of children in the poor community of Vinh Phuong. 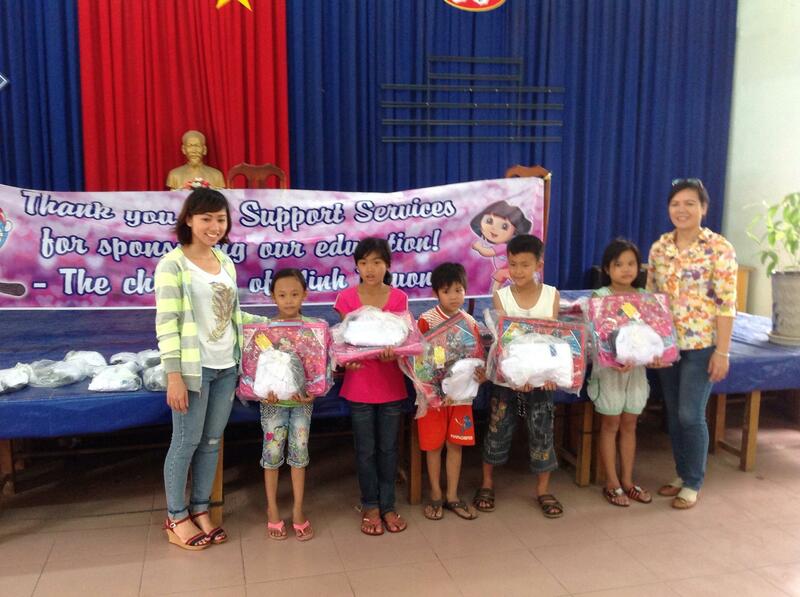 This trip was made possible through the kind donations of JL Support Services. 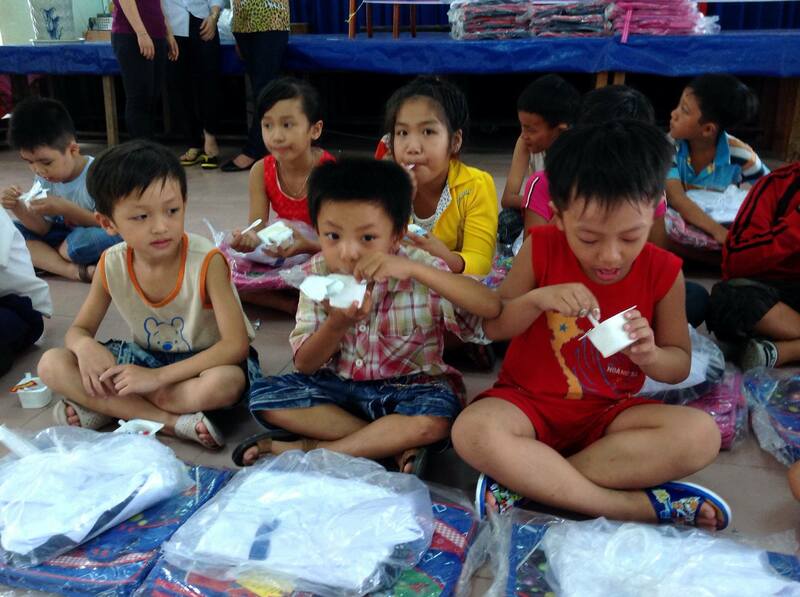 The community of Vinh Phuong lies to the west of Nha Trang, and like many poor rural areas in Vietnam, the parents struggle to buy the necessary items for the school year. 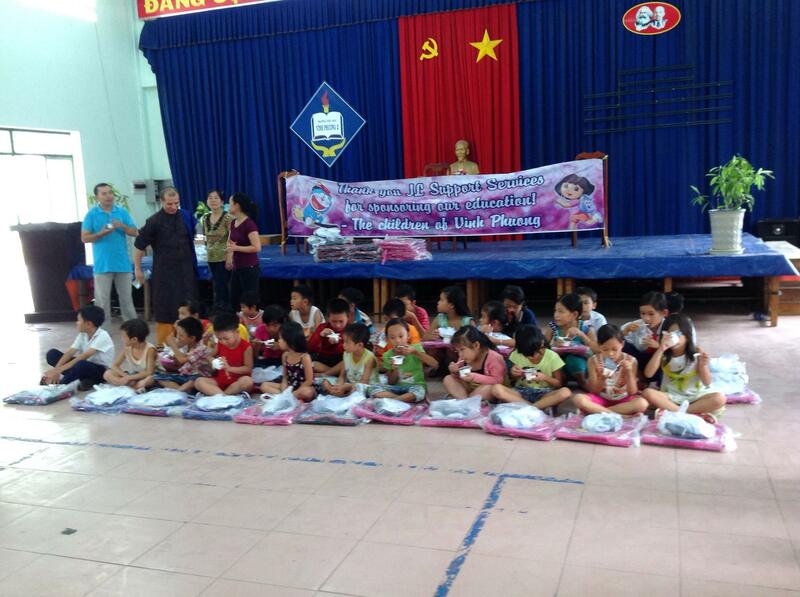 This includes school uniforms, textbooks, backpacks, and school supplies. 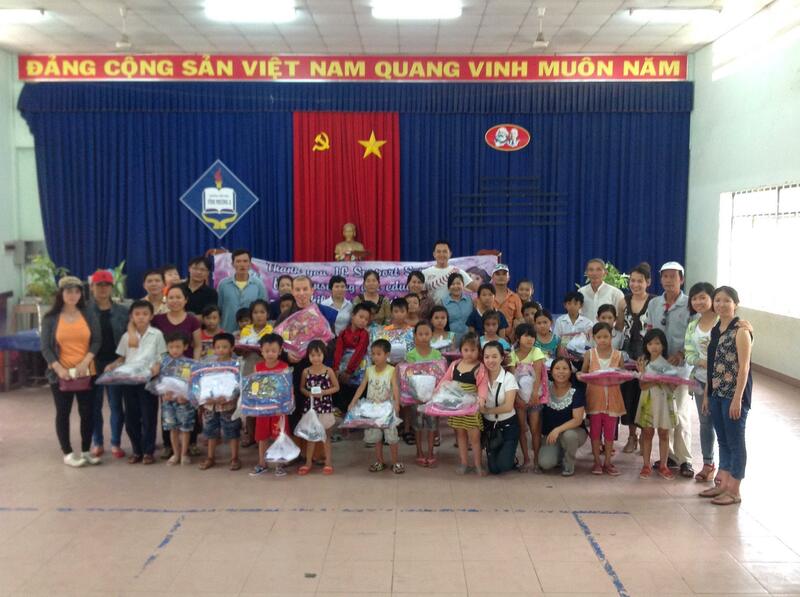 We worked with the local government of Vinh Phuong in identifying families that were in need of support, and arranged for the children to come in the local government meeting hall to receive their school supplies. 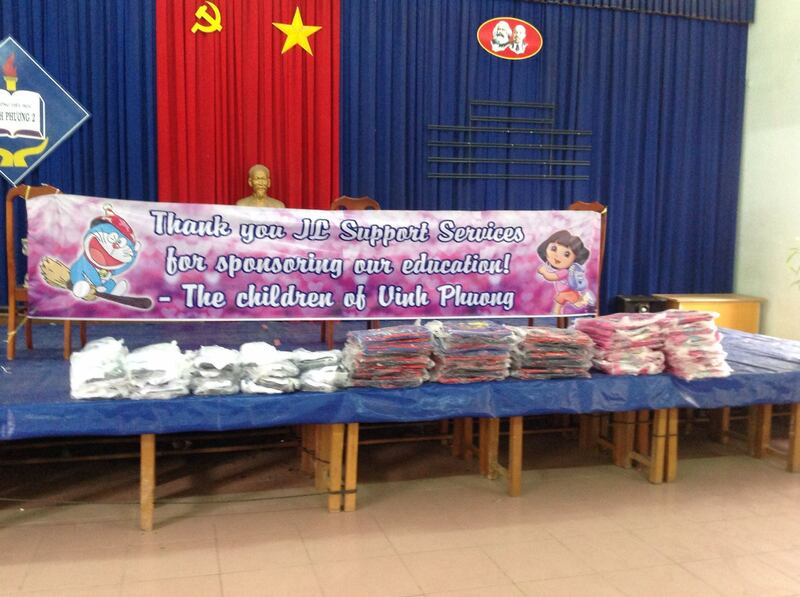 Through the generosity of JL Support Services, we provided all of the education needs for 50 students. 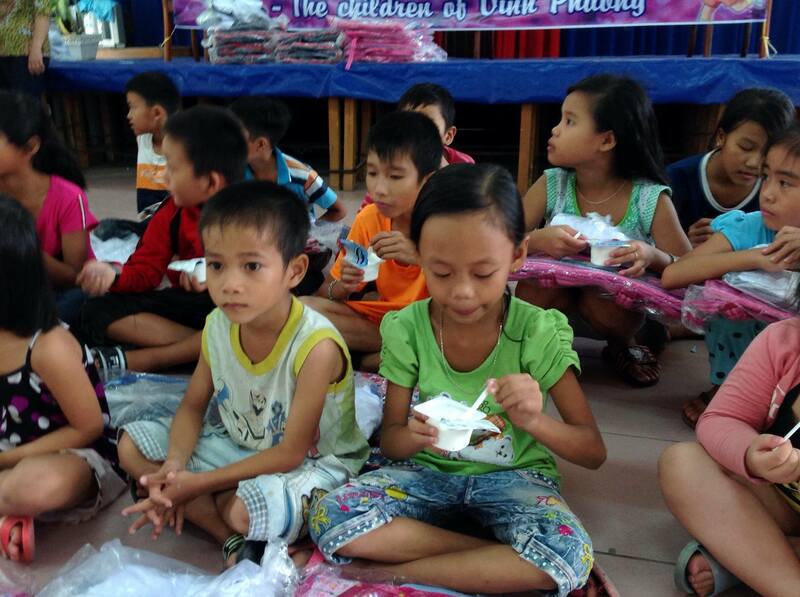 Students who were absent had their school supplies brought to their home. 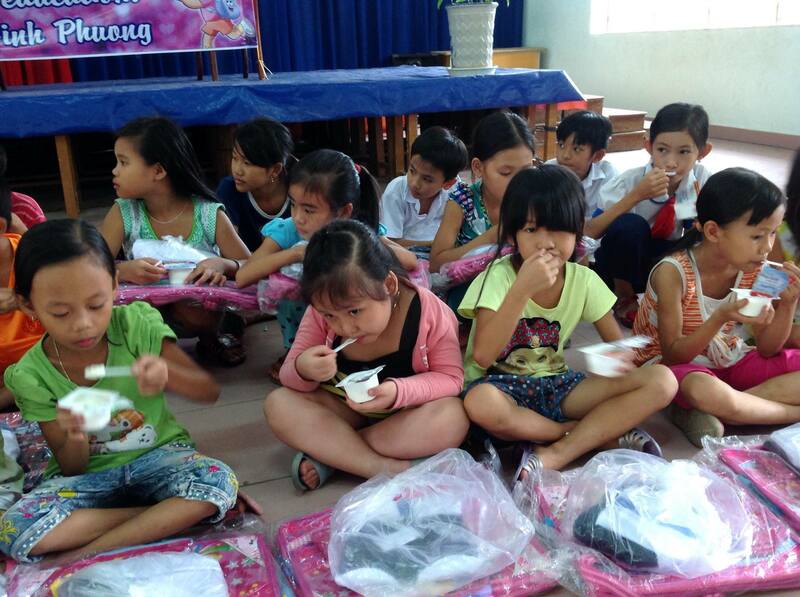 The children who attended the gathering got a cold yogurt treat, which hit the spot on the hot summer day.